MOBILE, Ala. – The Texas State baseball team (12-8, 1-2 Sun Belt) won its first Sun Belt Conference game of the season with an 8-2 victory in the rubber match at South Alabama (10-7, 2-1 Sun Belt) Sunday at Stanky Field. Connor Reich (3-0) recorded his fifth quality start of the season to pick up the win. He threw 7.0 innings and match his season-high of seven strikeouts while allowing a run on four hits. Taking the loss was Jase Dalton (1-1) after surrendering two runs on one hit and walk and recording only one out. Both Zachary Leigh and Brayden Theriot threw an inning of relief. Theriot had two strikeouts while giving up a run on two hits. Leigh pitched a scoreless ninth inning and struck out one. Will Hollis led the Bobcats at the plate going 3-for-5 with three RBIs and a double. Jaxon Williams recorded two hits and scored three runs. Also posting a multi-hit day was Skyler Valentine, who also drove in two runs and scored once. After Dalton Shuffield led off the game by reaching on a fielder’s choice, Williams hit into a fielder’s choice. Two batters late, Hollis laid down an unexpected bunt for an infield single and extend his reached base streak to 14 games. Valentine then sent a 3-2 pitch back up the middle for an RBI single to put TXST ahead early. The Jaguars were able to tie the game in the fourth when Felix Aberouette laid down a sacrifice bunt to bring home a run. In the seventh, Valentine started things off by singling through the left side. Ryan Newman was able to draw a walk and both runners were moved into scoring position on a Travon Benton sacrifice bunt. Following a pitching change, Chase Evans flew out down the right field line that was deep enough to score a run. Felipe Rodriguez sent the very next offering to center field for an RBI single and increase the lead to 3-1. Williams led off the eighth with a single to right field and moved into scoring position on a wild pitch. A 3-1 offering fell under the glove of the diving center fielder for an RBI double to make it a three-run Bobcat advantage. USA answered back with a run of its own on a Kaleb DeLaTorre single to make it a 4-2 contest. Four TXST insurance runs were tacked on in the top of the ninth. Two came on a Hollis chopper single over the first baseman’s outreached glove with the bases loaded. Valentine plated a run on a sacrifice fly and Cole Coffey drove home the final run of the game on a pinch hit single to center. The Bobcats close out their five-game road swing on Tuesday in San Antonio against Incarnate Word. First pitch of the game is scheduled for 6:30 p.m. at Sullivan Field. SAN MARCOS, Texas – The Texas State men’s basketball team (24-9) has accepted an invitation to compete in the 10th annual Collegeinsider.com Tournament (CIT) and will host Florida International (19-13) at 6 p.m. on March 23 inside of Strahan Arena. The Bobcats will be making their first CIT appearance since the 2016-17 season and second appearance in the program’s history. Texas State posted a 2-1 record in the CIT tournament in 2016-17 with wins over Lamar (70-60) and Idaho (64-55) before falling to Saint Peters, 49-44. The CIT uses a model which there is no set bracket. Future round opponents are determined by the results of the previous round and all games are at on-campus sites. More details are soon to follow concerning TXST’s upcoming CIT game and ticket availability. MOBILE, Ala. – Sophomore right-hander Hunter McMahon pitched his best game of the season Saturday night but the Texas State baseball team (11-8, 0-2 Sun Belt) fell 1-0 in the second game of the series at South Alabama (10-6, 2-0 Sun Belt) played at Stanky Field. McMahon (2-2) threw all eight innings to record the first complete game by a Bobcat pitcher since Jeremy Hallonquist did so on May 15, 2016 at Arkansas State. The Kansas City, Missouri native struck out a season-high six while giving up a run on four hits and two walks. JoJo Booker (2-2) earned the win after throwing six scoreless innings with four hits, four strikeouts and three walks. Picking up his second save of the series and fourth of the season was Nick Greene, who struck out four in 2.2 scoreless frames. TXST recorded eight hits coming from eight batters. Will Hollis was walked once to extend his reached base streak to 13 games. Both Travon Benton and Dalton Shuffield stole a base on a successful double steal. The lone run of the game was scored in the third that began with Nick Lewis getting hit by a pitch. He would advance to third on a sacrifice bunt and a pass ball. Lewis would score when Bennett Shell laid down a sac bunt down the first baseline. In the top of the fifth, Benton drew a walk and two pitches later saw Felipe Rodriguez single through the right side to put runners on the corners with one out. Jaxon Williams hit a grounder to the third baseman, who then went to second to start a double play attempt. Brandon Auerbach caught the ball at second and on his turn to first stepped into the path of Rodriguez sliding directly into the base. Auerbach’s throw was high and cause Wells Davis to have to leap to catch the ball, Williams to be safe and allow Benton to score to tie the game. However, the second base umpire called runners interference on Rodriguez and cause an ending-inning double play. The next best chance for the Bobcat to score came in the seventh. Benton and Shuffield hit back-to-back singles and then pulled off a double steal. USA escaped when Greene induced a fly out down the right field line that saw the outfielder make the catch on the run. Texas State threatened in the ninth with Cole Coffey and Ryan Newman hitting singles to start the frame. Greene again got out of the jam thanks to a popped up bunt attempt and two strikeouts to end the contest. The Bobcats conclude the series against the Jaguars tomorrow at 1 p.m.
NEW ORLEANS – The Texas State men’s basketball team (24-9) was eliminated from the 2019 Sun Belt Conference Tournament by No. 1 seed Georgia State (23-9), 59-46 at the Lakefront Arena. The Bobcats shot a season-low 21 percent (13-of-61) from the floor despite winning the rebounding battle (45-42), recording a season-high 94 percent at the free throw line (15-of-16) and holding the Panthers to 32 percent shooting (17-of-53) in the loss. For the second consecutive game Tre’Larenz Nottingham led the Bobcats in scoring with 13 points and freshman guard Mason Harrell finished with 10 points to compete the double-digit scorers. Junior guard Nijal Pearson pulled down a team-high nine rebounds but could not find the bottom of the net as he ended the game scoreless. Senior forward Malik Benlevi led a trio of Panthers and logged a double-double with 15 points and 10 rebounds. Senior forward Jeff Thomas added 12 points and All-Sun Belt First Team selection junior guard D’Marcus Simonds was held seven points below his average, finishing with 11 points. The Panthers scored the first five points of the game and although the Bobcats tied the score just after the first media timeout, Georgia State used a 13-4 run to create some space, 18-9 with under eight minutes left in the half. Texas State’s struggles were on the offensive end as they ended the half shooting 17 percent from the floor (4-of-23) and 14 percent from 3-point range (1-of-7). GSU went up by as many as 15 points and held a 28-15 lead at the half. The shooting woes continued for Texas State in the second half and Georgia State used a 9-0 run to go ahead 37-17 early in the frame. Harrell provided some life for the Bobcats with back-to-back 3-pointers, but the Panthers juiced the lead back up to 22 points, 47-25 with 9:34 left to play. The Bobcats could only trim the lead to as low as 11 points as the Panthers went wire-to-wire to eliminate the Bobcats. MOBILE, Ala. – A season-high three errors proved costly as the Texas State baseball team (11-7, 0-1 SBC) squandered an early lead in a 10-7 loss at South Alabama (9-6, 1-0 SBC) Friday night at Stanky Field in the Sun Belt Conference opener for both teams. Nick DeSantis (2-1) earned the win after throwing 1.2 scoreless innings of relief that saw him strikeout one and give up three hits. Nick Greene picked up his third save of the year after retiring the last five Bobcat batters with three coming on strikes. Suffering the loss was Brandon Lewis (0-1) that saw him give up three runs on two hits and a walk in 0.2 innings. Starting on the rubber for the Bobcats was Nicholas Fraze. The junior right-hander went 5.0 innings and struck out six but gave up seven runs on seven hits and two walks. Kyle Bradford threw 1.1 perfect innings with a strikeout. Dontae Woodard faced the minimum in the bottom of the eighth in his fourth appearance of the season. Recording two hits apiece for TXST was Travon Benton, Cole Coffey and Ryan Newman. Dalton Shuffield, Skyler Valentine and Newman all drove in two runs apiece while Jaxon Williams and Benton scored twice. Will Hollis was walked four times to extend his reached base streak to 12 games. His free pass total is the most for a Bobcat in a game since Luke Sherley had four walks against Alabama A&M on Mar. 12, 2017. Three pitches into the game, Williams was hit by a pitch. Hollis drew the first of his four free passes to put two. Both runners moved into scoring position when a balk was called against Drake Nightengale. Valentine put TXST on the board when he flew out to left field for a sacrifice fly. After a single back up the middle by Coffey put runners on the corners, Benton singled to center field to plate a run. Shuffield followed by sending a 1-2 offering back up the middle for a RBI single. He would move up to second on the throw home to put two in scoring position. Newman took advantage and ripped a double over the center fielder’s head to increase the lead to 5-0 after the first half inning. USA would get a run back when Bennett Shell hit a leadoff home run over the right field fence. Benton tripled to right field with one out in the third and would score on a sacrifice fly by Shuffield to right to put Texas State back up by five, 6-1. Kaleb DeLaTorre sent the third pitch he saw starting off the fourth over the right field fence to cut the lead to four. The Jaguars would score four runs apiece in the fifth and sixth innings behind two Bobcat errors and a passed ball for the final runs of the contest. SAN MARCOS, Texas – The Texas State football team spent its second spring practice much the way it did in the first, forced to battle inclement weather. The Bobcats opened spring practice at Bobcat Stadium on March 3 and 4 practicing with temperatures in the low 30’s. Working in full pads, they spent much of their practice on Wednesday in the rain. Practicing in different weather conditions is nothing new for Spavital. Spavital and his staff have spent the first six practices installing Texas State’s new offensive schemes. Defensively, the Bobcats have used multiple fronts and different looks so that the new coaching staff could take advantage of Texas State’s experienced defensive players. One thing that has Spavital pleased is the progress that the offense has made during the first six practices. The Bobcats will have eight more practices before playing the 2019 Spring Game on April 13 beginning at 6 p.m. at Bobcat Stadium. Texas State kicks off its 2019 season on August 31 when the Bobcats play at Texas A&M. TXST plays its first home game against Wyoming on Sept. 7. Season tickets for six home games in the 2019 football season are on sale for renewals and new buyers. Prices for the six-game home schedule can be purchased for as low as $80 through the Athletic Ticket Office by calling 512-245-2272, or on-line at www.txstatebobcats.com and logging into the Online Ticket Center. Current season ticket holders and Texas State students will have priority access to purchase away game tickets that include trips to Texas A&M and SMU. The Texas State Ticket Office is open Monday-Friday, 8 a.m.-5 p.m. and can be reached by calling 512-245-2272. Texas State football fans can also enjoy the benefits of joining the Bobcat Club. 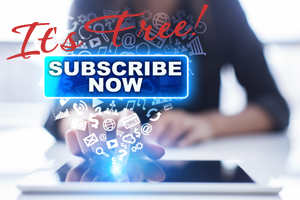 Membership benefits begin at the Associate Level, which requires a contribution of just $100. These benefits range from parking and pregame meals to receptions to team travel. The Bobcat Club is an organization of alumni, fans, former student-athletes, coaches and friends joining together to provide current student-athletes with a first-class education and a chance to excel both in the classroom and on the playing field. 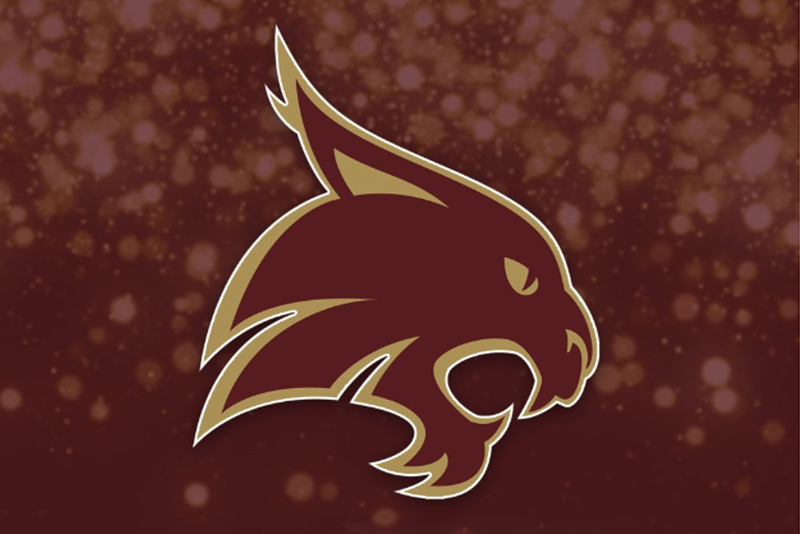 While the primary focus is providing scholarship support for student-athletes, the Bobcat Club is also focused on raising money for facilities upgrades and high impact projects that directly benefit Texas State student-athletes. HOUSTON – Junior right-hander Garrett Herrmann struck out a career-high 10 in the Texas State baseball team’s (11-6) 5-0 victory over Rice (7-11) Wednesday night at Reckling Park. It was the first win for the Bobcats at the Owls home park since May 5, 2009. Herrmann went 5.2 innings as he allowed six hits and walked one to improve to 2-0 on the season. Garrett Gayle (0-2) suffered the loss after surrendering four runs on seven hits and two walks in 4.1 innings. Both Travon Benton and Dalton Shuffield went 2-for-4 at the plate. Cole Coffey drove in a game-high two runs while Jaxon Williams and Shuffield scored twice. To open the game, Williams singled back up the middle. Will Hollis followed two batters later with another single up the middle and Cole Coffey drew a walk to load the bases with one out. Skyler Valentine hit a deep fly to right field that was caught but deep enough to score a run and put TXST up 1-0. Shuffield began the second inning with a single that was sent up the middle of the infield. Facing 2-2 count, Travon Benton ripped a double to right center that died in the outfield grass because of all the rain earlier in the day soaking the field that also plated a run to make it 2-0 advantage. The Owls nearly scored in the bottom half of the inning when Justin Dunlap hit a hard line drive that hit off Ryan Newman’s glove and rolled down the line. Newman was able to recover and gunned the ball home to Andrew Dunlap for the third out of the inning. In the third, Rice loaded the bases with two outs on back-to-back singles and a hit by pitch. Herrmann followed by striking out Rodrigo Duluc on three pitches to escape the jam. Williams led off the fifth with a walk and was immediately followed by a single through the left side by Jaylen Hubbard. The duo would pull off a double steal to both move into scoring position. It would pay off when Coffey ripped a double down the right field line that barely landed in fair territory to plate both runners. Rice threatened in the sixth and seventh frames. In the sixth, Brent Hebert came on and needed two pitches to induce a ground out to end the inning. He worked out of a two-out bases loaded jam with a fly out to Hollis in the seventh. Leading off the eighth, Shuffield singled to center field, stole second and advanced to third on a passed ball. Peyton Lewis line out to left field that saw the outfielder make a diving catch but also allowed Shuffield to tag and score for the final run of the game. NEW ORLEANS – The Texas State women’s basketball team (14-17, 9-9 Sun Belt) could not overcome a tough first quarter against the South Alabama Jaguars (22-9, 9-9 Sun Belt) and fell 68-67 in the second round of the 2019 Sun Belt Conference Championship on Wednesday afternoon inside Lakefront Arena. Senior guard Toshua Leavitt scored a game-high 24 points and grabbed six rebounds. The Nixa, Mo., native ended her prolific career with 1,542 career points and 363 career made 3-pointers. Her scoring output ranks ninth in school history, while her proficiency from beyond the arc established the high-water mark for both the Texas State program and the Sun Belt Conference. Freshman forward Da’Nasia Hood scored 15 points off the Bobcat bench. She converted 4-of-5 3-point attempts and pulled down four rebounds in 24 minutes of action. Junior guard Brooke Holle scored 10 points in 36 minutes of run. South Alabama was led by junior guard Shaforia Kines. She scored 21 points on 5-of-10 shooting from behind the 3-point line. First team All-Sun Belt sophomore center Antoinette Lewis tallied 12 points and nine rebounds for the Jags, while freshman guard Devyn Lowe scored 13 points off the bench. As a team, South Alabama dominated the second chance opportunities. USA scored 23 points on 14 offensive rebounds, compared to nine points scored on 14 offensive boards for TXST. Texas State crawled out of the gate in the first quarter and fell behind 23-10 after the first 10 minutes of play. The Jaguars shot 9-of-19 (47.4 percent) in the opening frame, while the Bobcats converted 4-of-14 (28.6 percent) attempts. The deficit remained at 13 points (34-21) at the halftime break. South Alabama received the ball to open the third quarter and promptly scored on a low-block touch from Lewis. Texas State responded with an 11-0 run over the next 2:28 of the third. In the run, freshman guard Kennedy Taylor beat the shot clock with a contested 3-pointer from the left wing. Holle added a corner triple in transition on the following possession before Leavitt canned a deep 3-pointer to pull the Bobcats within four at 36-32. A pair of free throws from sophomore guard Avionne Alexander willed the Cats to a one-point game at 42-41 with 4:02 to play in the third quarter. The Bobcats managed to get another defensive stop on the ensuing Jaguar possession. The Cats were called for an off-the-ball offensive foul when racing down the floor, aiming for their first lead of the ballgame. The call proved to be pivotal as the Jaguars ended the final 3:55 of the third quarter on a 12-2 run. Not willing to fold, the Bobcats mounted another furious comeback in the fourth. USA built the lead up to a game-high 16 points with 4:29 to play on a driving layup from Lowe. The Bobcats chipped away at the lead after pounding the offensive glass. The trio of Hood, Holle, and Leavitt combined to score the next 18 Bobcat points to bring the score to 67-64 with 9.6 seconds to play. USA converted 1-of-2 free throws at the line before Alexander banked in a 3-pointer at the final buzzer. For the second-consecutive season, Texas State was bounced from the Sun Belt tournament in a one-point loss as the game concluded at 68-67 in favor of the Jaguars. SAN MARCOS, Texas– Head coach Danny Kaspar was named the HoopsHD.com Coach of the Year for the Sun Belt Conference by Jon Teitel as well as a finalist for the 2019 Skip Prosser Man of the Year award. The 2018-19 season has been Coach Kaspar’s best at the helm of the Bobcat program. His team is 23-8 this year, marking the most regular season wins in the program’s history since joining Division I, and 12-6 in Sun Belt games which stands as the most since joining the league in 2013-14. Kaspar moved to No. 3 in all-time victories as the head coach for the Texas State men’s basketball program with a 65-57 win over Coastal Carolina on Feb. 9. He passed Henry G. Shands (1924-35) and his predecessor Doug Davalos (2006-13) who both have 92 career wins. Coach Kaspar now has 97 total victories with the Maroon and Gold and ranks No. 22 in the Sun Belt Conference record book with 49 wins. Named after the late Skip Prosser, who died suddenly in 2007 while the head coach at Wake Forest, the Skip Prosser Man of the Year award is presented annually to those who not only achieve success on the basketball court but who also display moral integrity off of it as well. The recipient of the award will be announced on April 5 at the College Insider Awards Event, in Minneapolis, the site of the 2019 NCAA Division I basketball championship. Texas State will head to New Orleans to compete in the 2019 Sun Belt Conference Tournament as the No. 4 seed. NEW ORLEANS – After dropping its final two games entering the 2019 Sun Belt Conference Tournament, the Texas State men’s basketball team (24-8) avenged one of those losses by knocking out No. 8 South Alabama (17-17), 79-67 on Friday at the UNO Lakefront Arena. Senior guard Tre’Larenz Nottingham bounced back with a 19-point performance to lead the Bobcats behind a 3-of-6 clip from 3-point range and a perfect 6-of-6 at the charity stripe. Texas State swarmed South Alabama defensively and forced 20 turnovers that converted into 21 points. In addition to the stout defensive performance, the Bobcats shot 44.4 percent from the floor (24-of-54) and 77.1 percent from the free throw line (27-of-35). Nottingham set the tone early in the first half offensively and finished with three 3-pointers, bringing his total to 81 this season, No. 3 in the program’s record book. Senior forward Alex Peacock nearly logged a double-double after scoring 17 points and snatching nine rebounds. Junior guard Nijal Pearson netted 12 and junior Jaylen Shead added 11 points, a game-high seven assists, and four rebounds. Both Pearson and Shead finished with three steals. Herb McGee dropped a game-high 25 points and led the Jaguars with four assists. Senior guard Rodrick Sikes scored 15 points with 12 of them coming from behind-the-arc, and graduate Kory Holden rounded out the top scorers for South Alabama with 11 points. The Bobcats held the Jaguars leading scorer, Josh Ajayi to seven points after he torched No. 5 Louisiana the previous night with 25 points. The Bobcats got back to their identity in the first half as they forced 12 turnovers and held the Jaguars to 39 percent (7-of-18) shooting from the field. Texas State had a good flow offensively as well and started the game 4-of-6 from the floor by the first media timeout. After both teams struggled to score for a few minutes, the Maroon and Gold went on a massive 20-4 run, including a 14-1 burst for a 14-point lead at 26-12, capped by Nottingham’s second triple of the game. The Jaguars hit a few buckets late to close the gap, but the Bobcats entered intermission with a 34-28 lead. USA’s Ajayi tried to get going with five quick points, but Texas State responded by outscoring its opponent 14-2. The Jaguars refused to quit, however, and went on to score the next 11 points to cut the lead to 52-46 before senior forward Eric Terry fought through a foul to stop the run and ignite a Bobcat 7-0 run. However, South Alabama made another push and cut the lead down to six after a 3-pointer from Holden on the left wing with 5:12 remaining. That would be the closest the Jags would get for the remainder of the game however, as the Bobcats finished out the final five minutes at the free throw line shooting 18-of-22, including a perfect 10-of-10 in the final minute and a half. The win pencils Texas State to its second semifinals appearance in three seasons and will match up against No. 1 Georgia State at 3 p.m. on March 16. The Bobcats and Panthers split the regular season series with both teams winning as the visiting team. • Texas State leads the all-time series vs. South Alabama 8-3 with this game being the first neutral site game. • The Bobcats ends their two-game skid and are 3-0 in neutral game sites this year. • The Bobcats dominated the Jaguars in the paint 32-14 and on the glass 37-23. They also outscored the Jags 17-5 in second chance points thanks to a 15 offensive rebounds. • Texas State forced their opponent in 20 or more turnovers for just the third time this season (Hardin Simmons, 22-Nov. 13, vs. USC Upstate, 20-Nov. 23). • The Bobcats finish with four players scoring in double figures for the ninth time this year. • Tre’Larenz Nottingham moved to No. 7 and passed Terry Conerway (2002-04) for most career made 3-pointers. Nottingham now has 127 3-pointers at Texas State. • Jaylen Shead logged his third consecutive game with seven assists and ninth overall this season. MOBILE, Ala. – The Texas State softball team (10-14, 1-3 Sun Belt) manufactured a 9-6 victory against the South Alabama Jaguars (9-14, 0-4 Sun Belt) on Friday evening at Jaguar Field. The result snapped a five-game losing skid for the Bobcats. • Texas State was held to only one hit through the first five innings of the game but erupted for six runs on five hits in the top of the sixth inning to take a 9-5 lead. • Freshman designated player Samara Lagway tied the game at 5-5 with a two-run double to right center in the fifth. • Sophomore infielder Tara Oltmann provided the biggest hit of the game three batters later as she smoked a two-RBI double to left field to put the Cats ahead, 7-5. • Junior catcher Haleigh Davis continued the sixth-inning rally with a two-out, two-run triple to right center. • Despite scoring six runs, South Alabama managed to strand 11 base runners during the game. The Jags left multiple runners aboard in five of the seven innings played. • Junior infielder Bailee Carter scored on each of her three walks drawn. She swiped a pair of bags in the third inning, including a steal of home on a designed steal play. • Senior pitcher Krista Jacobs (1-3) struck out five South Alabama batters in 6.2 innings of work. She allowed 12 hits, walked three, and saw five runs (two earned) score against her. • The first four batters of the Jaguar lineup wore out Texas State pitching. The quartet combined to hit 9-of-15 with two doubles, three walks drawn, and three runs scored. The rest of the USA lineup registered five hits in 19 trips to the plate. • Texas State turned to small ball to climb back into the game. The Bobcats stole six bases and successfully laid down three sacrifice hits. Junior infielder Hailey MacKay executed a suicide squeeze play in the top of the fifth inning to build momentum for the TXST offense. • Jacobs picked up her first victory of the season in the circle. She had lost her previous three decisions. The 6.2 innings of work marked a career-high for Jacobs. • South Alabama out-hit Texas State by a final tally of 14-6. Defensively, USA committed four errors, while TXST botched three chances.